Chestnuts, fully-cooked and ready-to-eat, and foraged in France, where chestnuts are a prized ingredient. 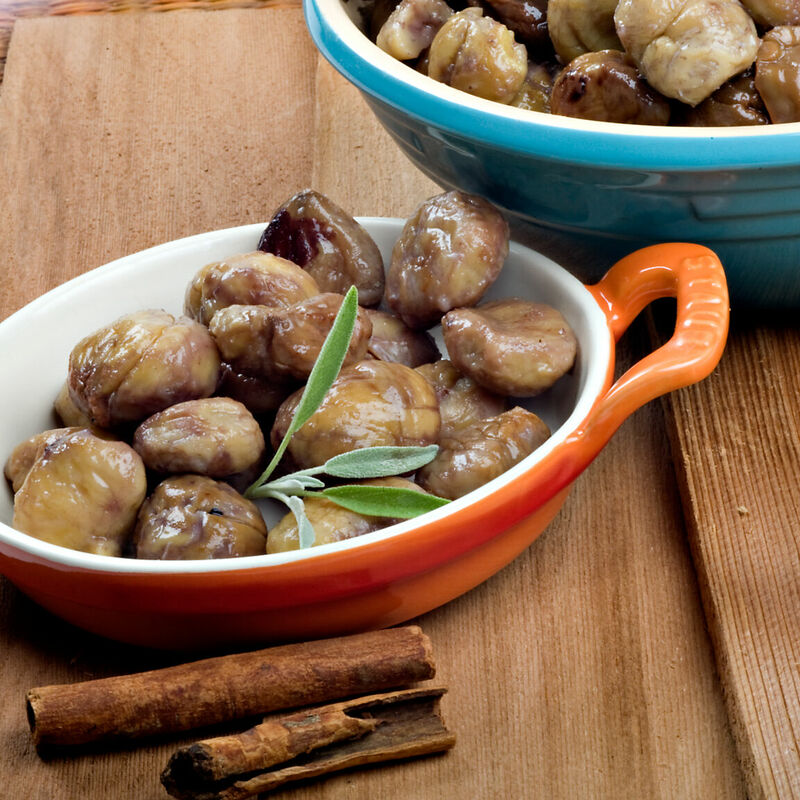 Chestnuts are a wonderful addition to recipes both savory and sweet, including poultry, game meats, and dishes with truffles, wild mushroom or root vegetables. A classic stuffing for goose, duck, or roasted chicken, the chestnut is indispensable to the regional cuisine.